Go exploring along certain rock faces in South America, and you might come across strange, smooth-walled tunnels cutting through the earth. There are hundreds of them in certain regions of Brazil and Argentina, some so large you could stand up in them. At first, you might suspect these were simple caves, but caves are formed by water dissolving rock. These tunnels are different: up and down the walls, you can see marks that were clearly made by something with enormous claws. 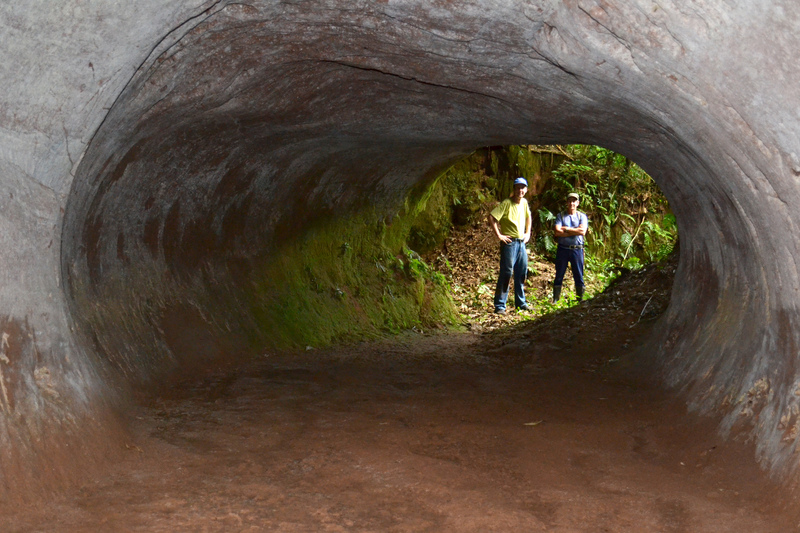 A positively enormous example of one of these burrows from Santa Catarina, Brazil. Image provided by Heinrich Frank. 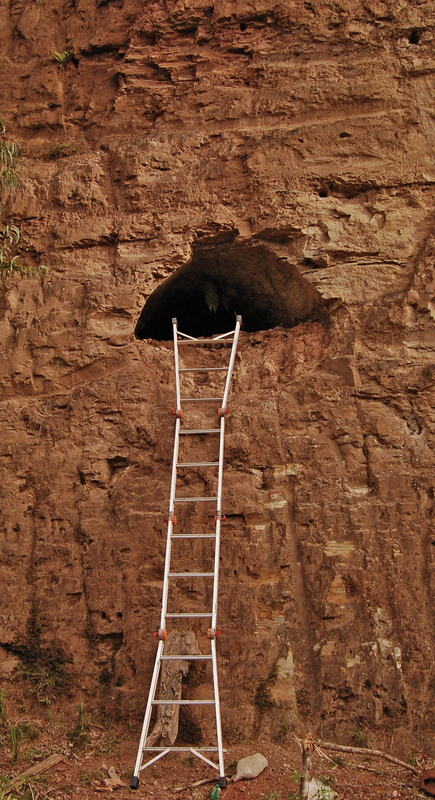 According to geologist Heinrich Frank, these unusual tunnels aren't much like normal caves at all. "[The tunnels] are long, have a circular section, are sinuous and, of course, can show claw marks on the roof and the lateral walls." What's more, "you will find them in rocks that can't be dissolved, like altered granitic rocks, sandstones and so on." 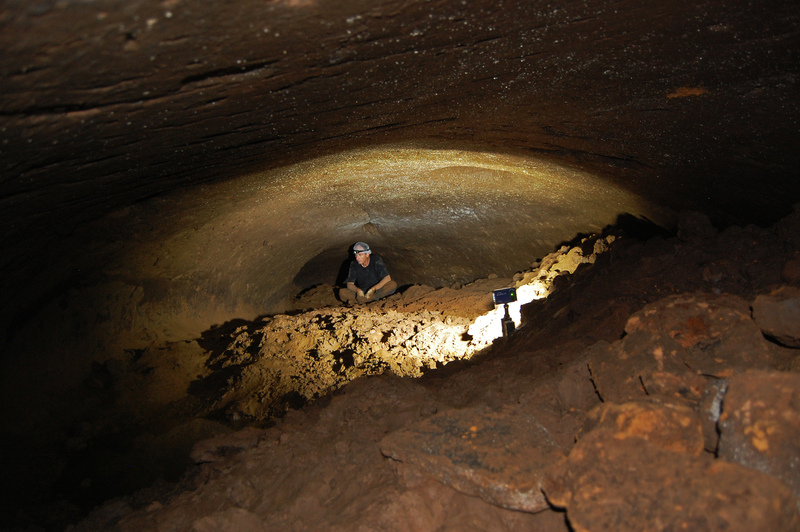 Frank is a geologist at the Federal University of Rio Grande de Sul, and part of a team of Brazilian scientists who recently published a new study identifying and classifying the incredible features of these massive burrows. Palaeoburrow in Timbó de Sul, state of Santa Catarina, Brazil. Image provided by Heinrich Frank. There's only one problem: there are no digging animals anywhere in the world today large enough to have created these tunnels, the largest of which stretches to two metres (6 feet) tall and four metres (13 feet) across. To find the burrowing culprit, we need to look to the giants of the distant past. That's right: these aren't just burrows, they're "palaeoburrows"! There were plenty of massive mammals living during the Ice Age, more than 10,000 years ago, but most of them – mastodons, saber-toothed cats, the sorta-rhino-like Toxodon – weren't equipped for digging. 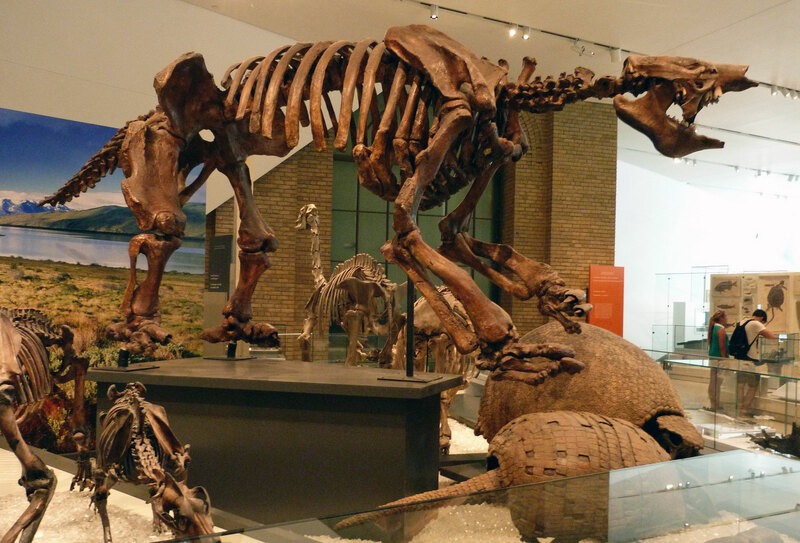 However, two groups of Ice Age animals were the right size and had claws to match the grooves in the tunnel walls: giant armadillos and giant ground sloths. Claw marks on the walls of the burrows are long and shallow, often coming in groups of two or three. Image provided by Heinrich Frank. Today's armadillos are expert diggers, with powerful arms and large claws. The largest living species creates burrows less than half a metre (1.5 feet) across, but in the past, South America was home to armoured giants like Holmesina and Pampatherium, which were several times larger than any of their modern cousins. Frank and his colleagues suspect these animals could certainly be responsible for some of those palaeoburrows. But even the giant armadillos don't measure up to the biggest of the tunnels. Ground sloths, on the other hand, were suitably monumental. The largest, like Megatherium and Eremotherium, could grow to be bigger than a rhino – and they were built for burrowing. "If you want to dig, you have to be very mobile," Frank explains. "Because of this, the sloths are perfectly suited to dig: [they're] big, can twist their bodies and have enormous claws." The researchers have identified two different "species" of tunnels, probably created by at least two different types of diggers. Over the past few decades, they have found more than 1,500 of these palaeoburrows across southern Brazil and Argentina. 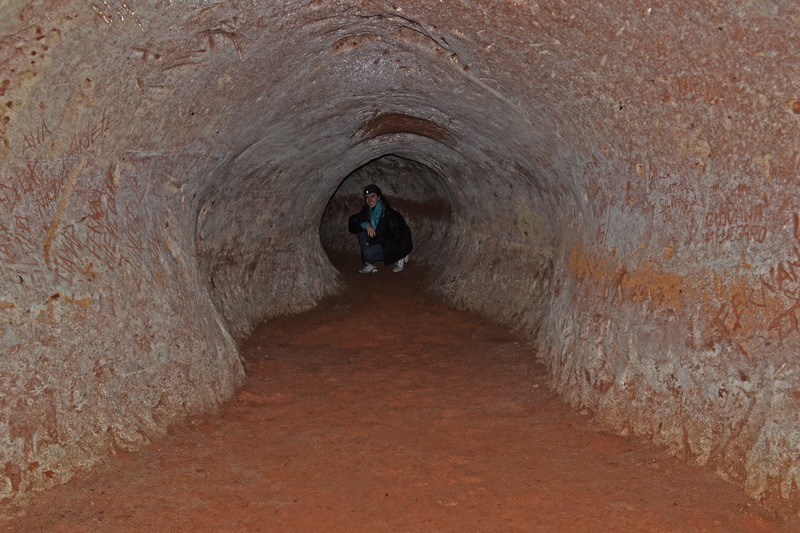 Clearly, these tunnels were very important for the animals that made them. Research in progress in a tunnel in Rio Grande do Sul, Brazil. Image provided by Heinrich Frank. 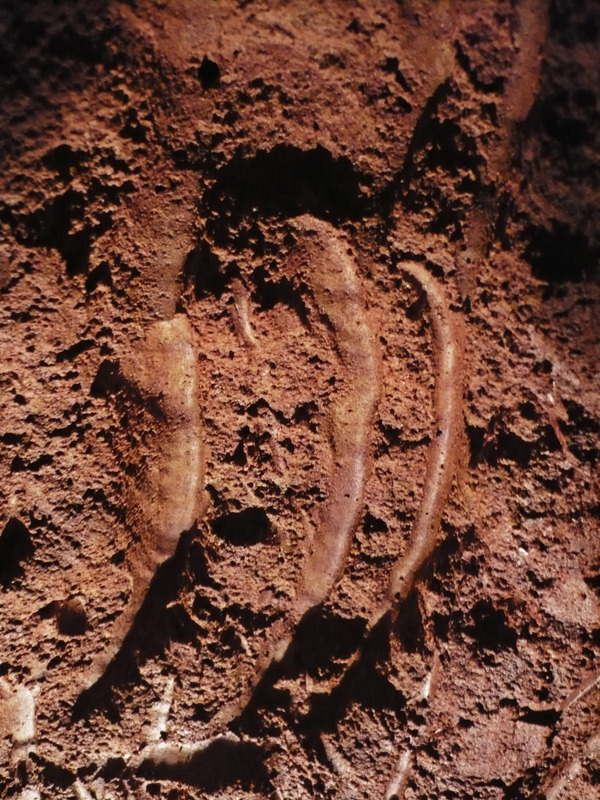 "The main challenge posed by trace fossils is figuring out who made a specific trace," says Tony Martin of Emory University, the author of The Evolution Underground and an expert in the study of trace fossils like footprints and burrows. "The original animal only rarely gets preserved in its burrow … so most times we have to use clues in the trace fossils, such as size, shape, or other features that match the anatomy of a possible maker." These scientists aren't the first to propose an explanation for the tunnels. Local people have attributed the burrows to various mythological creatures over the years, including the backward-footed Curupira and a giant snake called Boiúna. Geologists have also known about them for decades, but have long suspected they might simply be caves excavated by water or lava. Martin believes the Brazilian scientists have met this identification challenge admirably. "I think they're right," he told me. "[T]hey did a terrific job and I salute them for figuring out who made these once-mysterious tunnels." Many of the burrows are found in rock faces or road cuts. Many are also totally or partially filled in with sediments. Image provided by Heinrich Frank. The identities of the diggers may indeed be revealed, but there are plenty of other mysteries surrounding the palaeoburrows. It's unknown, for example, why they're so common around southern Brazil but not farther north, or exactly how old they are – though they must be at least 10,000 years old since that's when those Ice Age giants died out. There are also questions about exactly what the animals were doing inside the burrows, or how long they were using them. Some of the structures are hundreds of metres long; some branch or intersect each other; and some even have smooth, circular patches along the floors where the big animals may have laid down to rest. "A lot of questions remain for further work," says Frank. A half-filled “sloth dormitory” in Rio Grande do Sul, Brazil. How spacious! Image provided by Heinrich Frank. It turns out sloths won't just go out of their way for the sake of their own poop – they'll come for yours, too!